I know you have a favorite animal. Mine is the Sea Otter! These furry little creatures are smart and devilish. They have pouches like kangaroos where they store their toolset. After diving to the bottom for some tasty crustaceans they head back to the surface and lay on their backs to crack open their delights (using the tools!). They’re super smart which means they have loads of free time for high jinks. To see them you have to visit west coast since they only inhabit the northern Pacific Ocean. There discovery by the early explorers brought about an international market in Otter pelts. The story since then has been the same old one of decline. It does end with some good news including an internatioanl ban in hunting and a population recovery. That makes me proud but also serves as a constant reminder. I live zero waste, reduce my water use, walk more, and eat at farmers markets because of these little guys. I love them so much they make me cry and the thought of them in pain makes me angry! – Sea otters live in loose-knit groups called rafts. Otters in rafts often sleep side-by-side, wrapped in strands of kelp so that they don’t drift far from each other. 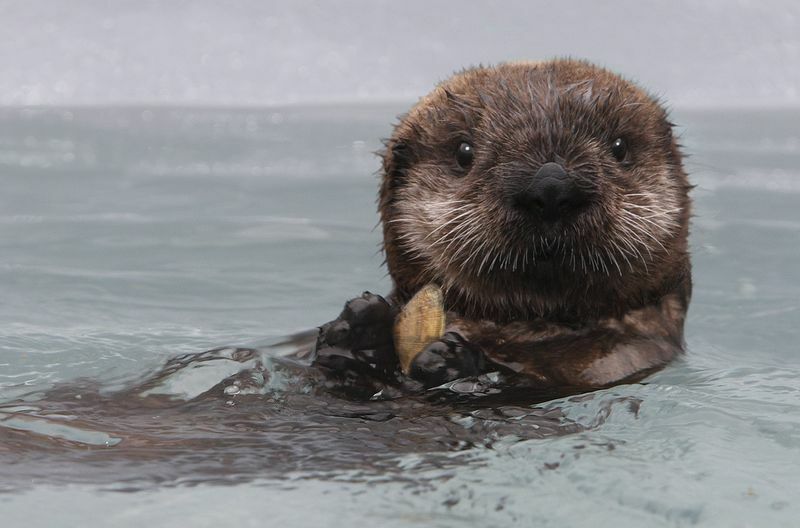 Posted on January 17, 2011 Author robotchampionCategories default, SurfingTags conservation, monterey, monterey aquarium, ocean, otter, pacific, pelt, protection, sea otterLeave a comment on Save the Sea Otters!